Whether you're buying a new or existing business, there are reasons why you need cash flow proformas or projections. Both banks and lenders use these to ensure you have the cash to pay them back if they loan you money. Jean Scheid looks at cash flow proformas and why you need them. What Are Cash Flow Proformas? Cash flow proformas are projections from month to month and year to year that show income, expenses, and operating profit. They then predict the cash left available to you once all your expenses are met. They are called proformas because they project what you know your business can do within a given time as far as sales, expenses, profits, and cash available to pay back financial backers or lenders. To begin, check out our media gallery for two useful documents, What Is A Cash Flow Statement, and an example of a Cash Flow Proforma or Forecast. 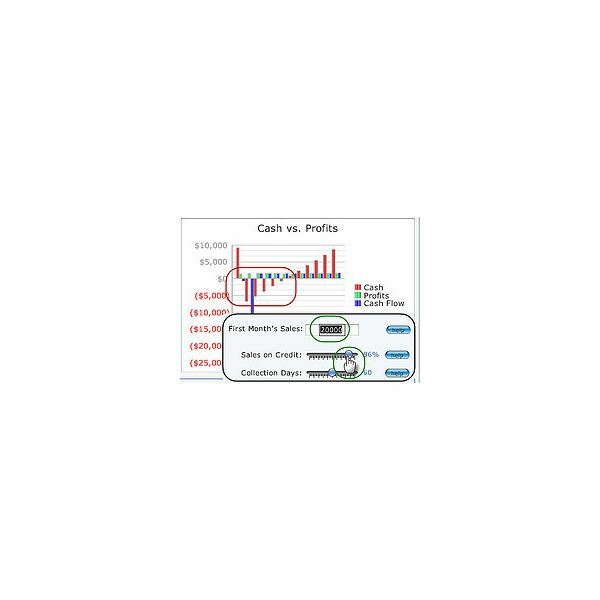 The Cash Flow Proforma template is an Excel spreadsheet with instructions describing how you can complete your cash flow proforma on your own. The ability for lenders or financial backers to see that you will indeed have cash left each month or year to pay loans or notes is essential for every small business to succeed. Keep in mind that while a cash flow proforma may show an operating profit, that is not the same as the cash or cash equivalent you will forecast to have on hand at the end of the month or year. 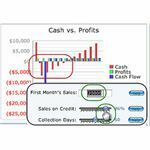 It is, however, necessary to list sales and expenses to help determine your cash flow. Expenses. Make sure you list all of your expenses each month including accounts payable. If your total cash and equivalent minus your operating profit is negative, you don't have any cash remaining. If your total cash and equivalent minus your operating profit is positive, this is your cash flow forecast or what you expect to have in the bank to help pay off loans and financial obligations to your lenders and backers. Most entreprenures don't fancy themselves CPAs or accountants. They know what type of business they want to run, have a vision and a mission, a product or service that is reliable and expect to make a profit. Unfortunately, to build and startup a business, you need to have working capital or cash. This is the reason banks or financial institutions require cash flow proformas or forecasting. But what if you're not spreadsheet friendly or number friendly? There are ways you can get help for free without paying an accountant. Small Business Economic Development Centers - Most cities and towns have a small business economic development center that will employ retired bank officers and accountants to help you prepare a cash flow proforma for free. Seminars - Look for free community college seminars that can help you understand and prepare a cash flow proforma. Banks - Often, if you are attempting to obtain funding for startup cash from a bank, the staff at the bank can help you prepare a cash flow proforma at no cost. Small Business Association - The Small Business Association or SBA, is a great resource to find out how to cash flow forecast on your own. They also offer free and small fee based online and offline training in many different areas geared toward the small business owner. Company specific services - Look for trade shows or free invitations from organizations similar to yours that offer examples and instructions on cash flow forecasting. Network in your community to find them. There are reasons why you need cash flow proformas and cash projections, especially if you want to sucessfully fund your new business.